Facebook Payments for Small Biz is Coming! The buzz in Palo Alto is that Facebook is already testing their payments system that will compete with Paypal. While Paypal today dominates the small business market for payments made electronically, Facebook hopes to overtake the industry by allowing payments from its users to merchants – and from merchants to users! Some may not remember that Paypal was not actually the first electronic payment method over the Web. There was Cybercash, ePay and even Chase Manhattan had a version of an online payment network, but none of them ever got off the ground. Sure, they spent enormous sums of cash building and marketing such systems so that millions of people tried them, but they couldn’t get their fraud rates below 5%! Such systems all eventually led to hackers finding a new way to penetrate and defraud those payment networks, and after a while the math simply didn’t add up and they either sold off to other companies or folded. So how did Paypal take off? Quite simply, they put the human element into the equation by adding a few pennies here and there in every transaction, so that only the account owner (the human element) could actually verify that they were the true owner of the account being tied into the Paypal “virtual” bank account. Turns out that while software algorithms and network security systems could be hacked and gamed, the human element could not. This didn’t totally eliminate fraud though, and there are plenty of Paypal small business owners who have had the misfortune of having a buyer (often in a foreign country) pay them through Paypal, only for Paypal to discover the fraud later and deduct the money from the small business. 1) People will be able to impulse shop on Facebook. If you’re a small business owner and you haven’t created a Facebook page for your small business, do it soonest! 2) Users will be able to give each other loans. And birthday gifts… Checks from Grandma will be instant, on Facebook and will be accompanied by an e-card. 3) The spread of Facebook payments will lower the rates at which other vendors charge for their gateway services. 4) Small business owners will be able to (and will) offer discounts to those that purchase their goods/services through Facebook payments as long as they click the “Like” button during the checkout process. 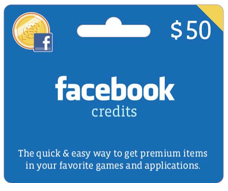 5) Refunds and chargebacks will be higher on Facebook, and the initial time period before Facebook becomes a good ombudsman of chargebacks will be painful for many. 6) Users, especially those 35 and younger, will begin openly telling others what they just purchased, influencing additional “cascading sales” on Facebook. 7) Because of the effect of #6, those with larger groups of friends with greater potential “reach” to tell others they just purchased a product/service will be entitled to discounts. Large brands will court them as street level “influencers,” while small business owners will offer them an affiliate program. 8) Facebook pages will become littered with phantom profile pages of both people and businesses trying to defraud the payment network. 9) Causes for local non profit work will spring to life on Facebook as they can easily crete a web presence, build networks of interested donors online and collect payments – all without writing a single line of code. 10) Financial institutions (smaller ones at first) will begin offering micro loans on Facebook. This will eventually lead to small business owners who are able to offer credit to potential customers in the form of amortized payments and collections for services/goods. It will be interesting to check back on this blog post 12 months from now and see just how many of my 10 predictions are shaping up to be true. This entry was posted in Small Business and tagged Facebook Payments, online payment, online payments, Paypal, small business by John Sung Kim. Bookmark the permalink.